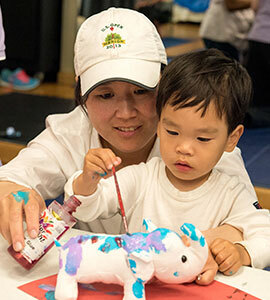 In this Music and Art Combo class both younger and older toddlers work and play together. 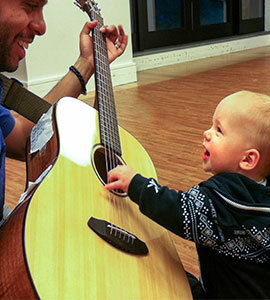 Toddlers march, jump, sing, dance, stretch, and play, and cultivate new skills appropriate to their developmental level. Afterwards we often quiet down for a BIG story, pop bubbles, or travel on the parachute! 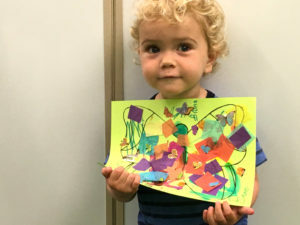 Our themed art projects fill the later portion of the class where children can explore simple and fun art materials including stickers, glue sticks, coloring, painting, collage work, and more! 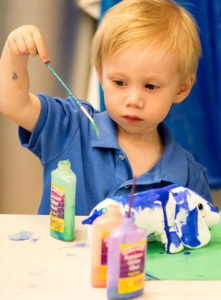 View Art Project Photo Gallery.